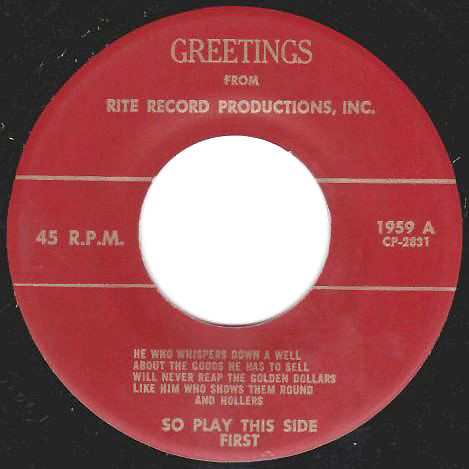 To streamline the labels listing, this listing of Rite Record Productions features Rite pressings by artists who appear to have released only one or two records and have no other label name. This particularly features LP Albums which frequently had Rite Record Productions at the bottom of the label. 9728 Songs Of Inspiration "Mother's Bible"
18392 Songs Of Inspiration "His Robe"